While franchisors have specific needs that differ from one company to another, there are some basic needs that remain the same for all franchise organizations. Franchisors need both speed and accuracy in keeping their documents in step with the current marketplace. Francorp is structured perfectly to meet these needs. From a singular document revision to a full development program, Francorp adapts to meet the needs of each one of our clients. We have the resources and experience to assess a problem, offer solutions and implement them in a timely manner, all under one roof. Yes! Please expedite my contact request. 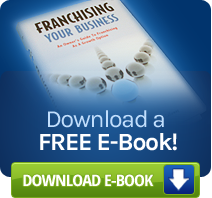 I want to speak to a Franchise Analyst as soon as possible I am ready to Franchise my business, what do I do next? I just want to learn more about franchising. I want to fast track franchising by business. I am already a Franchisor. I want a Franchise Analyst to evaluate my business. I want a list of upcoming cities and dates of a Franchising seminar.